At our Henleaze Concert Society concert on Saturday 9th June we will be joined by the Choir of Royal Holloway to perform (among other things) Cecilia McDowall’s Ave maris stella. Click here for concert details. 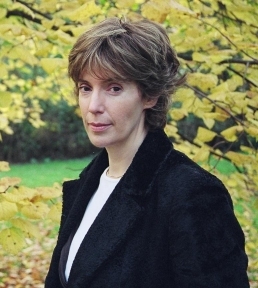 Cecilia McDowall was born in London in 1951 into a musical family. Her father was principal flautist at the Royal Opera House, and ran chamber groups, meaning the house was always full of musicians. Cecilia read music at the University of Edinburgh and continued her studies at Trinity College of Music in London. After graduating she taught music at Trinity and at the Yehudi Menuhin School for several years. Ave maris stella [Hail, Star of the Sea], for solo soprano, choir and string orchestra, has been described as a ‘peace anthem’ and was written in 2001 for Portsmouth Grammar School Chamber Choir. The text is taken from the antiphon Ave maris stella, which dates back to at least the ninth century, and from Psalms 26 and 106 (“They that go down to the sea in ships…”). The work is in seven sections, beginning with tranquillity and gradually building to a tempestuous central section. The storm subsides, and the opening music returns, finishing peacefully. Further information is available on Cecilia McDowall’s website.